LUBRITA Europe B.V. develop consumer oriented and environmentally friendly products of highest quality and efficiency. Lubrita includes the entire product range for the professional as well as for the do-ityourself enthusiast. 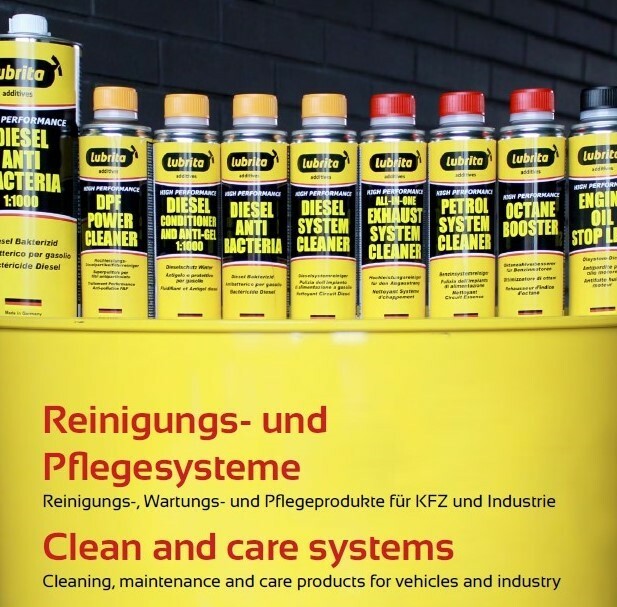 The product range reaches from products for the cleaning and maintenance of circulation systems like oil circulation systems, fuel systems or cooling systems until air conditions, automatic and manual transmissions and specially adjusted products for bikes and boats. Additionally, Lubrita offer an extensive products portfolio, which is divided into the several product lines: for cars, for moto bikes, for snowmobiles, for boats, etc. Some product examples bellow, but very soon full range Lubrita care and additives catalogue will be available online! Follow the LEADER - follow LUBRITA!